We have seen that Lakatos adopted a view of science that is somewhere in between that of Popper and Kuhn. The Austrian philosopher Paul Feyerabend also studied under Popper, but adopted a very different position to that of Lakatos. Starting with Kuhn’s view that paradigm shifts do not occur on the basis of reason alone, Feyerabend went on to develop what is known as an anarchistic philosophy of science. 1. On the issue of falsifiability, Feyerabend argues (in common with Kuhn and Lakatos) that no theory is ever consistent with all the relevant facts. Like Lakatos, he sees the use of ad-hoc postulates to save the dominant paradigm as an essential to the progress of science (see last post). However, Feyerabend goes much further than Lakatos; taking examples from the history of science, he claims that scientists frequently depart completely from the scientific method when they use ad-hoc ideas to explain observations that are only later justified by theory. To Feyerabend, ad-hoc hypotheses play a central role; they temporarily make a new theory compatible with facts until the theory to be defended can be supported by other theories. 2. On the issue of paradigm shifts (or moving from a regressive research programme to a progressive one, as Lakatos would say), Feyerabend emphasises Kuhn’s idea that the reigning paradigm heavily influences interpretation of observed phenomena. However, he adds to this by suggesting that in the paradigm model, the reigning paradigm would also have a stifling influence on the incoming theory; instead of being dictated by agreement with observation alone, the new theory must also agree with the old in almost every instance. 3. 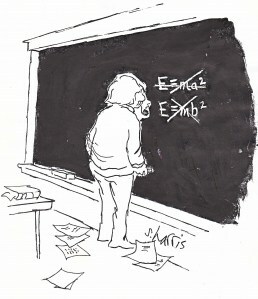 Epistemological anarchism; putting the two points above together, Feyerabend concludes that it is impossible to view the progress of science in terms of one set of methodological rules that is always used by scientists; such a ”scientific method’ would in fact limit the activities of scientists and restrict scientific progress. Instead of operating according to universal and fixed rules, Feyerabend suggests that science often progresses by ad-hoc postulates that break the rules; this ‘anything goes’ view is formally known as epistemological anarchism. 4. Science and Society: the doctrine of epistemological anarchism is considered Feyerabend’s major contribution, However, he also had a major point to make about science and society. Starting from the view that a universal scientific method does not exist, Feyerabend goes on to argue that science therefore does not deserve its privileged status in western society. Since scientific points of view do not arise from using a universal method which guarantees high-quality conclusions, there is no justification for valuing scientific claims over claims by other ideologies like religion. Indeed, he was quite indignant about the condescending attitudes of many scientists towards alternative traditions such as astrology and complementary medicine. In Feyerabend’s view, science can be a repressing ideology in society instead of a liberating movement; he thought that a pluralistic society should be protected from being influenced too much by science, just as it is protected from other ideologies. This pluralistic view, that science does not have a monopoly on truth and its authoritarian status in society should be questioned, went on to become a major tenet of the modern discipline of Science and Technology Studies. 1. Feyerabend’s view of science is considered radical but interesting by many philosophers of science. However, one obvious criticism is that the comparison of science with cultural traditions such as religion doesn’t seem to stand up; faced with experimental evidence to the contrary, scientists do, eventually, change their story – unlike religion. No scientific theory that is in conflict with observation survives over time. 2. A criticism from historians of science is that Feyerabend often backs his thesis by choosing the science of Galileo; time and again, Galileo is portrayed as an example of a scientist in rebellion against the science of the day. 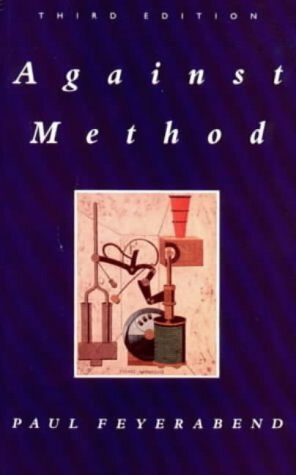 The problem with this example is that it can be argued that what we now consider the scientific method was developed after Galileo, not before; the invention of instruments such as the telescope and the microscope led to the evolution of the sophisticated method of hypothesis and experiment we call the scientific method today. Hence the Galileo-as-rebel-against-the science-of-the-day narrative is questionable. 3. A general criticism from scientists is that an extraordinary thesis requires extraordinary evidence. 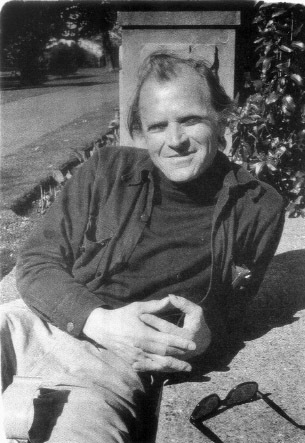 Instead, Feyerabend’s thesis is based on case studies from the history of science that are debatable (see above, and last post), despite his meticulous research. Indeed, Feyerabend is sometimes accused of either misunderstanding or misrepresenting science in his examples. [For example, Feyerabend claims that the Newtonian view of gravitational acceleration was rebellious because it was in conflict with that of Galileo; most physicists consider this argument to be dead wrong. Newtonian mechanics deals with gravitational acceleration in a far more general way than Galileo, but it reduces to the Galilean case for an object is close to the earth’s surface; hence Newton is not in conflict with Galileo]. This example is fairly typical and raises concerns. Philosophers infer general conclusions from isolated case studies in the history of science; this is not ideal and it’s even more problematic if the case studies used are questionable. 4. On the other hand, Feyerabend’s idea of scientific imperialism is considered very important indeed and led to many studies that suggest that the use of science in society has not always beneficial, including studies that show that claims of scientific legitimacy were sometimes used by the state to introduce unpopular and unnecessary measures on populations..more on this later. Disagree about Galileo not being a modern scientist: his experiments with dropping balls of the tower of Pisa is pure empiricism. Absolutely, couldn’t agree more Iggy. My argument is that gal. was not departing from empiricism, but more-or-less inventing it as a method of enquiry! On searching Feyerabend, I find you claimed here that Galileo magically discovered a new method. What of Ibn Haytham and his brethren from where Galileo studied? Surely you can look back to such a mistake and laugh at your days of ignorance. Ummer, that was a very moot point, surely you can look back at your post and cry over the continuing legacy of your ignorance. The point of Galileo being a science pioneer… is probably just a myth. He was most likely a business man. Um, no, Galileo was in fact a famed physicist, astronomer and philosopher of his time. His father, though, was a trader or a musician.